In 2011, the Baltimore County Council created the Perry Hall commercial revitalization district to spur redevelopment near Belair, Ebenezer, and Joppa Roads. Since that time, occupancy has increased from 60 percent to 90 percent at the Perry Hall Square Shopping Center, and we have been able to redevelop the area near 8833 Belair Road. Over the coming weeks, Councilman David Marks will be introducing legislation to change the boundaries of the district, eliminating areas where there has been some improvement – but adding properties that need help. 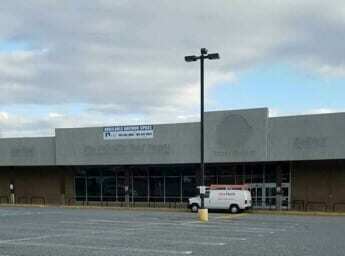 One such property is the shopping center at Belair and Silver Spring Roads. “I am concerned about the unoccupied Mars Supermarket site,” Councilman Marks commented. “There have been a lot of rumors about future tenants, but nothing confirmed. I want to provide incentives that can attract tenants to this property.” The commercial revitalization district program offers grants and tax incentives that may make a difference. “I believe the commercial revitalization district program can not only help with the Mars location, but can also benefit some of the properties between Blakeley Avenue and Silver Spring Road,” Marks concluded. For more information, visit https://www.facebook.com/DowntownPerryHall.